A relatively unknown brand, KZ Acoustics, has been getting quite some traction lately for providing quality earphones at Super cheap prices. I’ve bought their ED Special Edition and ES earphones off a deal on AliExpress where they both came in a pack for a mere 14.75$! (Almost 2 years back!) But how good are these earphones? Well, lets find out. The earphones came in separate cardboard boxes. For 14.75$, I really wasn’t expecting a whole lot of accessories (provided that I got 2 earphones at this price). So, I wasn’t disappointed (or pleasantly surprised ;-)) when I opened the box to find only the earphones with multiple pairs of silicone buds. Both the earphones come with an inline mic and a single button remote. The cables are of fairly decent quality with negligible memory. They are sheathed in a translucent dark brown sleeve. The silicone earbuds provided with these earphones are pretty comfortable and fit snugly in the ear. 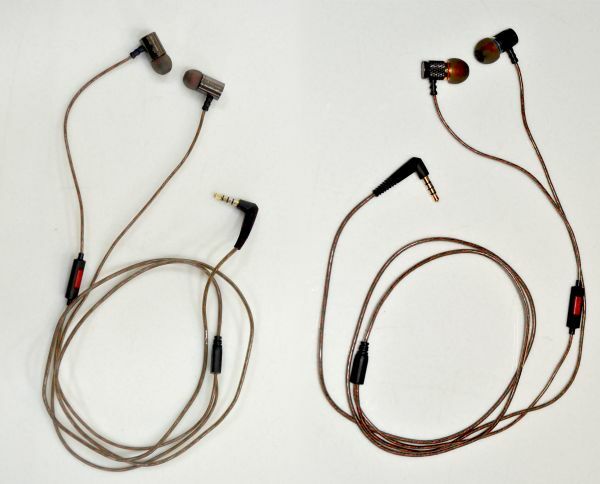 The driver housing is the only distinguisishing feature (physically speaking) between the two earphones. In ES the drivers are housed in a cylindrical metal casing with a dark grey glossy finish. In ED the housing is a slightly tapered black colored cylinder with a diamond knurled outer surface, a meshed back and a gold finish nearing the nozzle. While The ED also has Red and Blue rings indicating the left and Right positions, the ES has straighforward L and R markings on the housing surface. Overall, both appear to be well built and somewhat durable. This is the part where the differences between the two start to emerge. The performance of ES was a letdown. While the bass output was clear and punchy, heavily recessed mids and a bland treble performance ruined the whole deal for me. Compared to what most IEMs at this price range offer, I really wouldn’t call this outright terrible. Just mediocre, reiterating how cheap I got it for. On the other hand, the ED, boy oh boy did it surprise me. After listening to the ES, I was preparing myself for another disappointment. I am happy to admit that I was wrong in thinking so. The bass was as clear and booming as can be and the mids and sub bass were slightly recessed. The treble output, while not as sharp as I’d like it to be, wasn’t that bad either. And the soundstage was as wide as can be expected in a low cost IEM. To sum it up, while the ES has a more bassy sound signature, the ED has a more neutral tone that is just slightly prejudiced towards the bass. Now, the million dollar question that begs to be asked is are these worth it? About the ES, it really isn’t the only earphone on the market with a sound signature that is biased towards the lower frequencies, so I can’t in my right conscience recommend it. The ED, however, is honestly a pretty good IEM. A quick price check on AliExpress shows the ED priced between 8-15$. Anything below 10$, this earphone is the real deal, a steal. I know I sound like a telemarketer here, but trust me, I wouldn’t be saying this if it weren’t so. Above that however, it comes dangerously close to the price of Soundmagic’s ES18S. Between the two of them at that price point, the ES18S does have a slightly warmer sound signature and has more spark on the treble . Overall, it is the better performer. But then again the ED does surpass the ES18S in terms of build quality. So, it all comes down to preference. 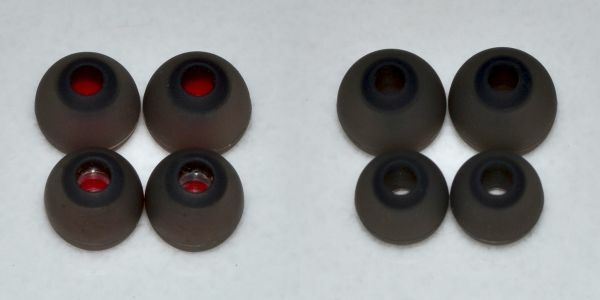 With that said, Kudos to KZ Acoustics for making a ridiculously low priced IEM that would put many higher priced ones to shame. Note: These earphones are only worth it if you buy them from AliExpress (or any other Chinese online stores), because as far as I know, it is the only place where you could get it at the listed price. However, there are plenty of sellers on AliExpress that sell fake stuff. 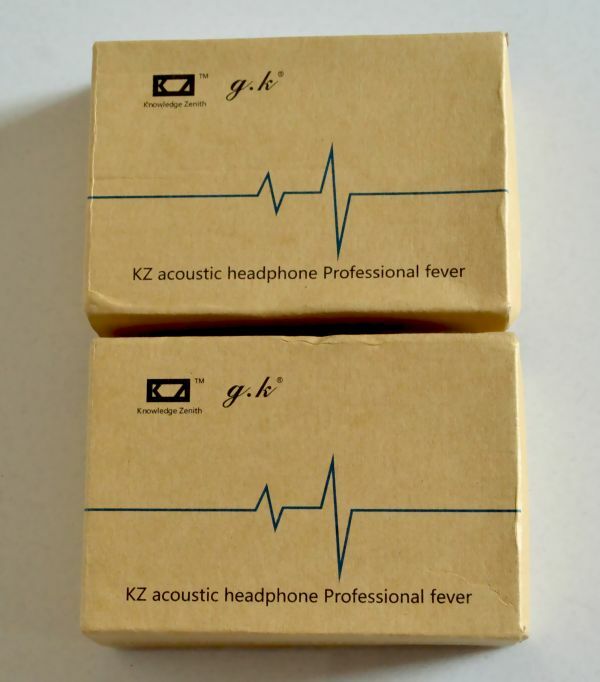 So, if you are intent on purchasing these, be sure to buy them from the official KZ Acoustics store. While the ED is a spectacular earphone for the price, the ES is a letdown that unfortunately ruins the price–performance ratio of the whole package. If I were to rate the two individually (which is only fair given how good an earphone the ED is), I’d give the ED 4.5/5 and the ES 2/5 (assuming the ED priced at $8 and the ES at $6.75). But since this is a review of the pack, I’ll give it a 3.5/5.